€117.00$127.53£101.7951% off Out of Stock. 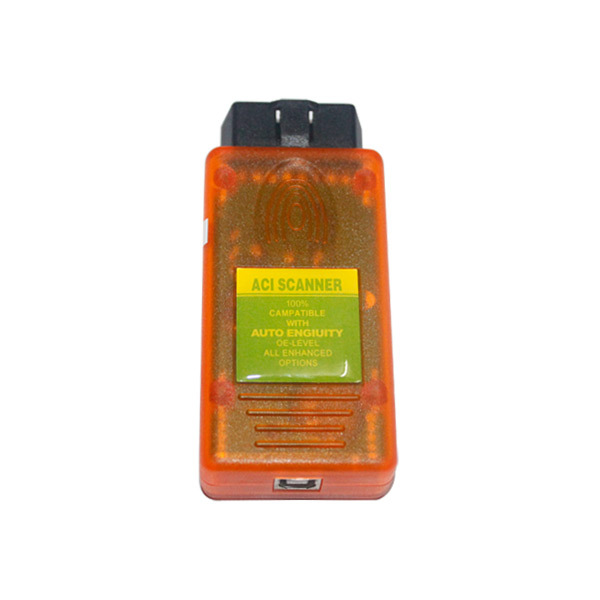 ACI scanner is a universal scanner for most car till 2010,it can do Ford,GM,toyota,Chrysler,honda,bmw,nissan. And it also can do simple diagnose for most car. Independent service shops and vehicle tuners require more information than what OBDII can provide to do their job effectively. Since the OBDII standard covers only emissions-related powertrain systems and sensors, there is more information you won't be able to see with a generic OBDII scan tool. With our enhanced interface options, you can get factory tool-like capabilities; allowing you to access hundreds of systems (ABS,airbags, instrument cluster, etc. ), sensors, and system/component-level bi-directional controls so you can do your job faster and with a greater degree of accuracy. compliant vehicles. ACI Scan Tool allows you to read the vehicle's diagnostic trouble codes, live vehicle sensors (including wide-band O2 sensors), actuate bi-directional controls, reset adaptations, and view inspection system test results to quickly determine what service the vehicle requires. In the professional repair business getting as much coverage as you can is important to effectively and quickly service any vehicle. We offer enhanced coverage options for 43 car brands: Ford/Lincoln/Mercury, GM-family, Chrysler-family Toyota/Lexus/Scion, Mazda,Nissan/Infiniti, BMW/MINI, Land Rover, Honda(Acura),Subaru, Mitsubishi, Isuzu, Porsche,Mercedes, Hyundai/Kia, Jaguar, and Audi/VW. So you read your vehicle's trouble codes, now what? Reading the trouble codes from your vehicle is easy. But without live data and bi-directional controls, you may not have enough information to properly perform the repair. Don't waste your time or money with simple code readers or hand-held scanners. ACI OBD2 scan tool can not only read your codes,but it can also show you live data, actuate components, and run system tests. With complete coverage, you can get the job done right the first time and prevent dreaded"comeback". You may have known that almost all states are using OBD2-based emission testing for all 1996 and newer passenger vehicles? Now with the 2010 legislation, even the 8500 -10000lb trucks are required to be OBD2 complaint. If you have a Check Engine or Service Engine Soon indicator illuminated, or a specific inspection system monitor test fails, your vehicle will fail its emissions test. With ACI OBD2 scan tool you can inspect your vehicle’s compliance before you wait in line and pay for the test. For our European customers, our enhanced interface options also support Audi/VW, BMW,Chrysler/Dodge, Ford, Jaguar, Mercedes, and Toyota/Lexus diesel engines and the European-specific models. 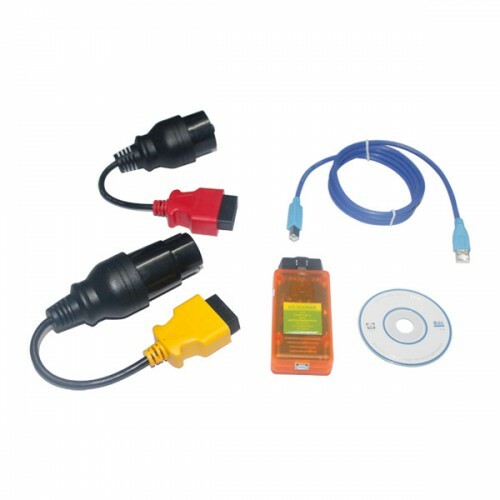 Although Ford does implement the largest subset of the OBDII standard, the typical vehicle only supports 20 - 40 sensors and is limited to emissions powertrain. Using the enhanced Ford interface, a typical Ford vehicle will support 200 - 300 sensors within half a dozen systems; that's essential systems such as ABS, airbags, GEM, ICM, etc. Our enhanced Ford interface coverage is only matched by factory tools; we have support for 4,800+ sensors selected from 94 systems. 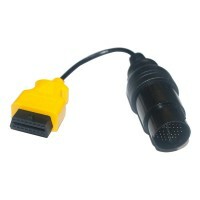 Support includes ISO, SCP, CAN, MCAN,and CAN 14229 controllers. The Ford enhanced interface has support for Ford of Europe diesel models such as Ka,Mondo, Galaxy, Fairlane, etc. Finally, our Ford enhanced has support for non-CAN and CAN 400+ bi-directional commands and dozens of system-level tests. With bi-directional controls, you will no longer be relegated to being just an observer in the operation of the vehicle--now you can take control of its operation. Our enhanced GM interface supports 6,400+ sensors selected from the engine,transmission, body, and chassis systems. For you tuners out there, our enhanced GM interface gives you access to the Crank Variation Learned test for most vehicles. Also,with our enhanced GM coverage is support for Workhorse 04+ MY vehicles (P42 Series,W22 Series, W24 Series, W52 Series, LF72 Series, P32 Series, W18 Series, FE20 Series,W42 Series). Our enhanced GM interface coverage is only matched by factory tools; we have support for 6,000+ sensors selected from all 68 systems. Finally, our enhanced GM has support for 2,000+ bi-directional commands and key system-level tests. With bi-directional controls, you will no longer be relegated to being just an observer in the operation of the vehicle--now you can take control of its operation. Support includes dual-wire and single-wire CAN powertrain support. Our enhanced Toyota interface supports engine, transmission, body, and chassis systems. System support includes the bi-directional controls and system tests such as Test Mode(Zero Point Calibration) setting for TCS / VSC systems. Additionally this support includes the Generation 1 and Generation 2 hybrids systems such as HV Battery and HV ECU. For these systems we also do support the Information Data #s reported with trouble codes. Our enhanced Chrysler interface supports hundreds of sensors selected from the powertrain, body, chassis, and transmission system. It includes hi- and low-speed sensor support giving you more sensors and faster throughput then our competitors. This enhanced interface comes with its own hardware interface specifically designed for Chrysler SCI and CCD based controllers. By doing a stand-alone interface we can offeryou more SCI coverage then our competitors who are limited by electrical issues with generic OBD-II. Also supported is the CR2 and CR3 Sprinter ('04 - '06), Jeep Liberty Diesel ('05 - '06), diesel Cummins engines, and the Venom equipped Vipers ('08+). Our enhanced Mazda interface supports hundreds of sensors selected from the engine,transmission, body, and chassis systems. Support includes the CAN systems such as ABS and Tire Pressure Monitor systems. Our enhanced Nissan interface supports code retrieval/resetting, sensors, and actuations from the engine, BCM, transmission, ABS, airbags, 4WD systems, and CAN systems.Coverage includes the Work Support configuration commands such as Target Idle Ignition Adjustment; with it you can permanently advance your ignition timing to gain few extra HP.Trouble code retrieval includes the NATS 5.0 system and the detailed status byte support. Finally, we seamless integrate CAN and non-CAN systems so that you won't have to worry about switching hardware to retrieve all the troubles codes from each module. Our enhanced BMW interface supports thousands of sensors and bi-directional controls selected from 190+ controllers such as engine (DME), transmission (EGS), ABS, airbags,and other body and chassis systems. 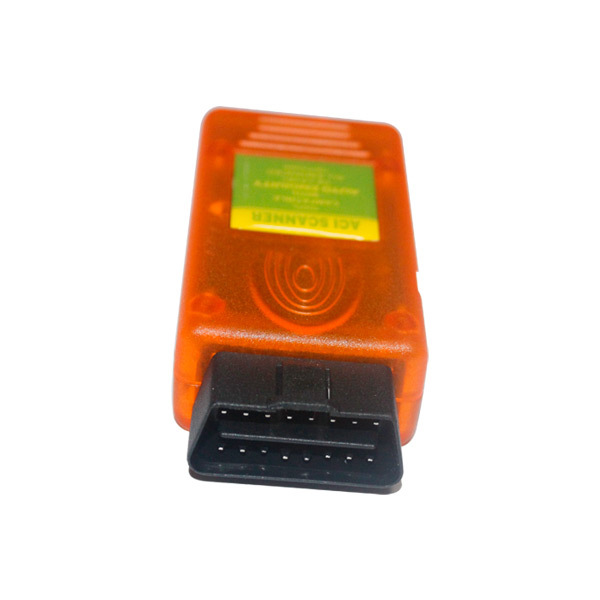 With our enhanced BMW, we support translating BMW FC codes into OBDII DTCs for all engine and transmission controllers. Also,supported is such status information as the fault frequency and fault conditions. Our enhanced Land Rover interface supports hundreds of sensors and bi-directional controls selected from the engine, transmission, body, and chassis controllers. Coverage includes the Freelander (2002-2005), New Range Rover (2002.5-2010), LR2 (2007-2010),LR3 (2004-2010) LR4 (2010). Our enhanced Jaguar interface supports hundreds of sensors and bi-directional controls selected from the engine, transmission, body, and chassis controllers. Coverage includes the XK, X Type, S Type, XJ, and XF models. Additionally, coverage includes the late model medium speed CAN (MCAN) controllers such as HVAC, Audio, Keyless Vehicle,Park Aid, Side Object Detection Control, Central Junction, etc. transmission, and late model ABS systems. Our enhanced Porsche interface supports live data, bi-directional actuations, system-level tests, and trouble code retrieval and clearing from 60+ systems. Coverage includes the popular 911 (1994-2009), Boxster (1997-2009), Cayman (2006-2009), Carrera GT(2005-2006), Cayenne (2003-2009). With our enhanced Porsche, we support live data and drive links from more than 50+ controllers. If live data isn't enough, we have component-level actuations so you can test a component on your own terms instead of recreating the conditions for actuation. Finally, with Vehicle Data support (i.e., Ignition Ranges counters) you can see the state of your vehicle prior to repair or purchase. Our enhanced Isuzu interface supports hundreds of sensors selected from the engine,transmission, airbag, and ABS systems. component-level actuations and the sensors vary based on installed modules. Like most aftermarket Audi/VW tools, some of the sensor descriptions are missing, but data values can still be retrieved with basic descriptions. It is therefore strongly recommend to use a service manual alongside our tool while working on these vehicles. Our enhanced Mercedes interface supports thousands of sensors and hundreds of bi-directional controls for systems such as DME, EGS, ABS, AAC, BAS, SRS, WSS, EWS,CGW, ICM, DAS, MRM, LCP, UCP, OCP, SAM, and dozens more body and chassis controllers. 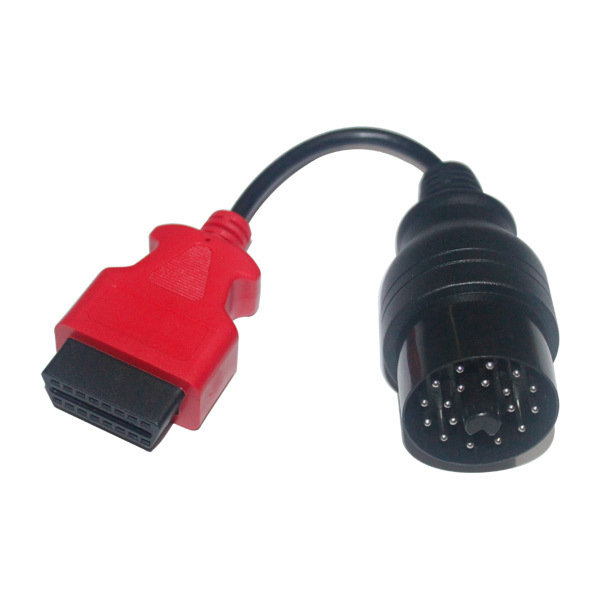 Support includes systems on both the 16pin OBDII and 38pin interfaces.Live data, bi-directional controls, and trouble code retrieval for the popular M and GL Class (163 / 164), SLK Class (170 / 171), C Class (202 / 203 / 204), CLK Class (208 / 209),E Class (210 / 211), CL Class (215 / 216), CLS Class (219), S Class (220 / 221), SL Class(230), B Class (245), R Class (251), G Class (463), and V Class(Viano/Sprinter). Trouble code retrieval only for DAS 3 equipped S Class (140) models currently. 1. Q: Does it support for programming? A: No, it can not do programming. 2. Q:What's the warranty for this item? A: This product has one year for warranty. 3. 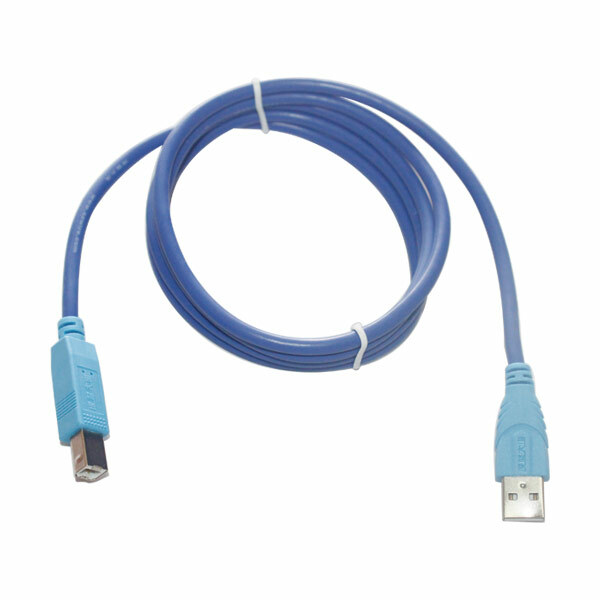 Q: All the cables and interface will come with the package? A: Yes, you will get all cables and interface as the pictures display.